Naniwa is known for making quality water stones. The Naniwa Traditional Water Stone is no exception. If you're looking for a quality water stone, the Naniwa Traditional is a great value. The Naniwa Traditional Water Stones are an excellent balance between price and features. You still get the quality and attention that Naniwa gives all their stones but don't have to pay the higher price of their more expensive lines of stones. 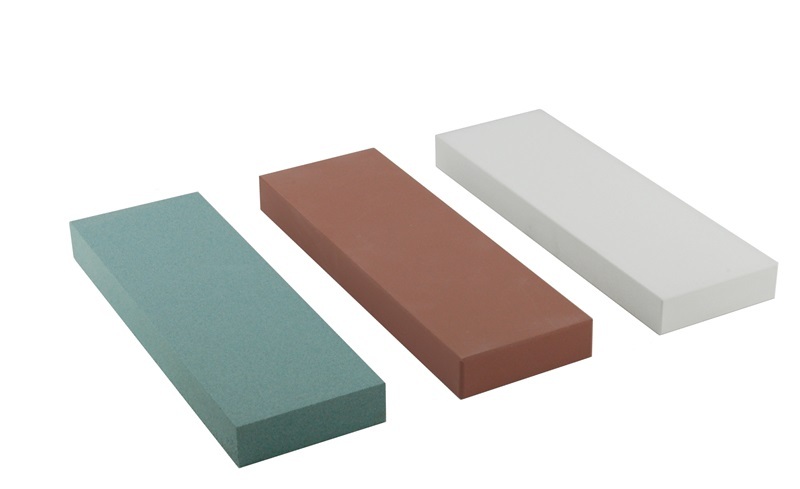 Unlike the Super Stones (now called Sharpening Stones) these have a traditional water stone bond, the tradition bond absorbs water and thus requires soaking before use. The coarser grits readily absorb water quite readily while the 8000 grit very slowly absorbs water. Each stone measures 8 1/4" long, 2 3/4" wide and 3/4" thick. The stone is thick enough to provide many years of sharpening. 220 Extra Coarse Grit - This grit is excellent for establishing a new bevel angle on a tool or knife. We also recommend it for sharpening extremely dull or nicked blades. The 220 grit sharpens very quickly. 1500 Medium Fine Grit - This stone is fine enough for many applications. In the kitchen, this stone will leave your knife with an edge better than many factory edges. At this grit size, this stone is considerably finer than many stones marked "fine" that you will find in stores. 8000 Extremely Fine Grit - This white stone is extremely fine. 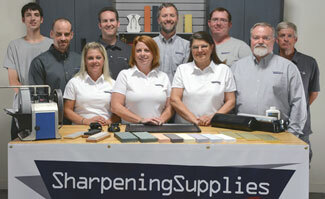 This is a wonderful final stage for most knives or tool edges. It differs in feel and cost from the rest of the line of Naniwa Traditional Water Stones. It technically does absorb water, but not absorb water like the other stones in the line, this stone polishes well and is worthy of the difference in price.